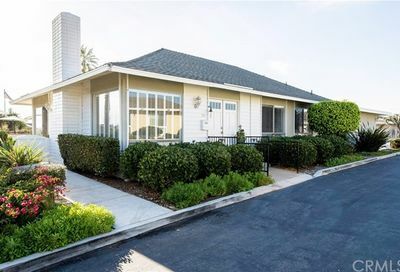 Colony Cove is a resident owned 55 plus community located in San Clemente in South Orange County, CA. Colony Cove is an attractive senior community situated on a bluff overlooking the Pacific Ocean. It is walking distance to the beach. Residents of this community enjoy gorgeous sunsets over the Pacific Ocean and Catalina Island, picturesque greenbelts with walking paths, water features and gardens, and two pools and clubhouse. Colony Cove HOA Fee: $330/Monthly. Please verify updated information and coverage by calling the HOA at 949-361-4134. Colony Cove is comprised of approximately 183 homes. The homes range in size from approximately 1000 – 1300 sq ft. with 1 or 2 bedrooms and up to 2 bathrooms. There are both attached and detached homes, all are single-story with detached 1-car garages, most have fireplaces, and patios. Many of Colony Cove homes have ocean or panoramic ocean views. Besides being just one block away from the beach, you’re also just mere minutes away from shopping, restaurants, the beach trail, golf, and the popular Dana Point Marina. You’re also at about the midway point between Los Angeles and San Diego. Don’t miss out on the newest homes for sale in your preferred community – Sign up here for property email alerts here. Also check out nearby South Orange County 55+ communities at The Gallery at Talega (San Clemente), Bay Cliff Village(San Clemente), Shore Cliffs Terrace (San Clemente) and San Juan Hills in San Juan Capistrano. Click here to obtain more information on other Orange County 55 and over communities. Click here to learn more about other San Clemente over 55 senior communities. Please fill out the contact request below to receive 55+ property alerts in your preferred location from a real estate agent. By successfully submitting this form, you are giving us permission to get you connected with a real estate agent whom we feel is best suited to help you with your search. You will be receiving direct email property alerts from this real estate agent. Yes, you have my permission to connect me with a real estate agent in Orange County who will contact me directly regarding my specific real estate request and needs. No, I am not ready to get connected with an agent. Thank you. (Please see newsletter sign up below. We hope you continue using DreamWellHomes.com to search for the latest listings). I understand that a Referral Services representative from another real estate brokerage that we partner with, for example, Berkshire Hathaway Services will contact you about your request within 24 - 48 hours of receiving this form. The purpose of this contact is for introduction and to express commitment to your customer satisfaction in working with another real estate broker and agent.